Is Alien: Isolation The Scariest Game You’ll Ever Play? The hype around Alien: Isolation has been massive: it’s a survival horror game based on the first movie, you play as Ripley’s daughter, and you’re stuck on a spaceship with a single indestructible xenomorph that can kill you before you’ve ever seen it. In short, Alien: Isolation – which comes out tomorrow – is the game fans of the franchise have been waiting to play for years. But has it lived up to expectations, or is it another *shudder* Colonial Marines? 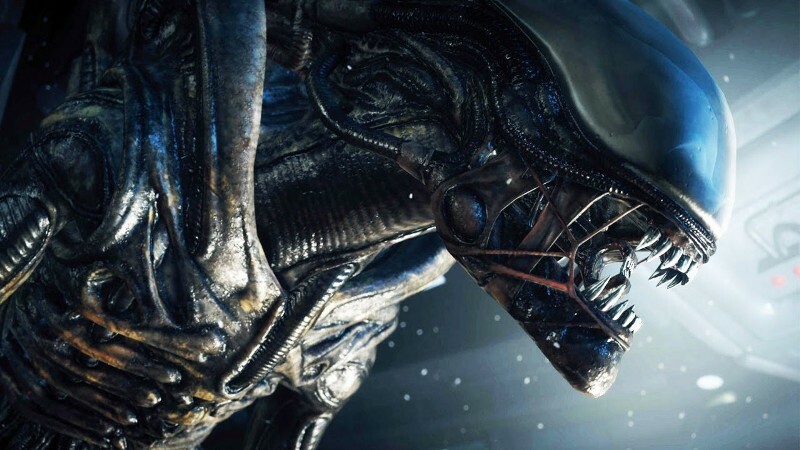 The good news is that Alien: Isolation is ridiculously terrifying (according to critics at least). PC Gamer, who gave Isolation 93/100, claim it’s ‘…a thrilling, drawn-out game of cat-and-mouse with the scariest cat imaginable’, before adding: ‘…the presence of the alien makes almost every moment exhilaratingly tense. After getting through one particularly long, difficult section, my palms were sweating and I had to go for a lie down. This is not a game you want to play just before bed.’ Yikes! Destructoid wrote in their 8.5/10 review: ‘Whether it’s chilling bits of the game’s soundtrack or classic horror movie sounds, odds are you’ll be feeling a bit on edge the entire time.’ Sounds…erm, fun? Meanwhile, Joystiq said: ‘Alien: Isolation is a trauma machine masquerading as a video game… it’s unpleasant, stressful and rarely merciful. Yay!’ They still gave it 9/10, mind – apparently unpleasantness and stress can be fun too! ‘Alien Isolation’ is one of the best games I have ever played. It is so intensely scary, atmospheric, frustrating and addictive it’s almost unbearable. There have been a couple of negative reviews, however. IGN gave Isolation 5.9/10, claiming that the game was too long, while Gamespot wrote in their 6/10 review that Isolation ‘…is four hours’ worth of a great idea stretched into 14-plus hours of messy stealth gameplay, creaky video game cliches, and limp exploration.’ Ouch! Where do we even start? First of all, there are hardly any weapons in the game so you’re largely defenceless – not good when you’re being chased by a hulking great alien. Basically, the game switches the traditional gaming power relationship. Rather than arming you with more guns than the entire US Army and making you fight baddies who would explode if you poked them in the tummy, you’re being hunted by a merciless killer and your only option is to hide. Should you buy Alien: Isolation? If you’re planning on buying Alien: Isolation, put some cash towards it by selling your games with musicMagpie!